March 14– A cherry tree planting ceremony will be held on Sunday, March 14 at 11 a.m. at De Portola Park in South Torrance (25615 Lazy Meadow Dr.) . The ceremony will take place in collaboration with the city and Soka Gakkai International U.S.A. (SGI-USA). The SGI-USA and local members began the cherry planting project in 2001, and donated a total of 125 trees in Columbia Park which was completed in March 2009. 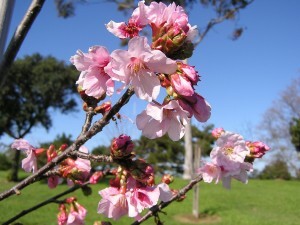 The group is now planting 375 more cherry trees in other parks in Torrance. The trees have been taken cared for by the local members of the SGI-USA, such as L.A. Beach Cities Region and Long Beach Region. The ceremony will include a taiko performance.